We have all had some form of déjà vu in our lives. Déjà vu is that strangely eerie feeling that what you are doing has already happened. It is that oddly familiar feeling that you really have done this (whatever it is) already. The other day my daughter and I were in New York City. We took a day to walk around and enjoy whatever we came upon. We walked down one street and I noticed there was a small shop with the name in French which drew me in right away. (I wish I could remember the name of the store. Yes, I tried to Google it.) I had to go, since if you know me, I LOVE all thing French. It was a cute store with jewelry from all over including France. 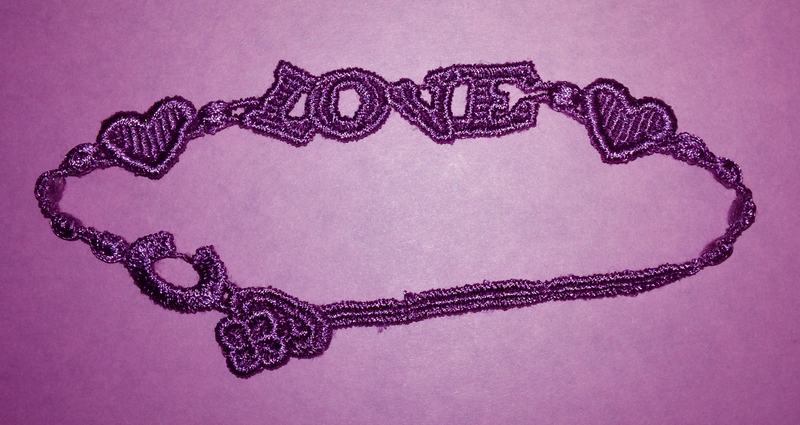 There, I found a bracelet that was embroidered with the word ‘Love’. It was perfect for me. I felt that it would be a nice reminder that we are loved. I walked out of that store and felt like I had done this already many, many times. The simple thing of just looking at it, adjusting it, tying it, the feel of it… all of which I felt like I had done before. For the rest of the day, I could not shake the feeling. That feeling is still with me nearly a week later. I am sure I never saw this bracelet before nor have I ever had one like it before. That déjà vu feeling was really strong the first few days. I am afraid to take it off though. It is like I am wearing it for an important reason. I LOVE that it says “love” on it… and that to me, it is a reminder that we are loved so much by our angels and spirit guides – so much more than we know. Their love for us in indescribable. I am learning in this class that we call Earth. Absolutely. Maybe I hit a point in my life that is a reminder that I am on the right path. This bracelet. So simple, it almost seems silly. Truly, though, if the path we chose to learn the most was shown to us in Heaven as we pick this lifetime, then this bracelet is symbolic of that. I have been talking about love a lot. That we are loved more than we know. That we can emit love to others. That we should think loving thoughts (as opposed to fear-based thoughts). The angels pour love onto us. Love is a beautiful energy wavelength. I could go on and on. What symbol or sign is this bracelet to me? I have yet to find out. I know it is important somehow, so that makes it exciting. I love bracelets so I will keep it on until I find out. I will definitely let you know. This entry was posted in Inspiration, Metaphysical, Spirituality and tagged angel, emotion, guardian angel, Law of Attraction, life, live, Love, near death experience, new age, past life, regression, reincarnation, self-hypnosis, Spirituality, The Secret, thoughts become things. Bookmark the permalink. I am so happy and grateful that you were able to find my post! You are definitely in the company of spirits! Karen Recall when my friend passed away in October and I spoke to her afterwards? Well anyway that must be how she was able to share with me her next life that she was so excited about! She has seen her next life review.